Although I've been quiet here on IndieDb, I've worked pretty hard no adding more content and smoothing out edges in The Madness of Little Emma and finally I can say the game is pretty close to being actually finished. The detailed patch notes are on our Steam page: Store.steampowered.com and here I would like to highlight the most important stuff that was added in that update. The update was mostly focused on polishing the game! 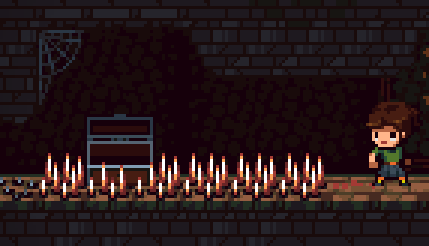 First thing that I tacked on last month was spikes and things which are standing on top of them. I have finally found time to make all the chests, pickups and living beings display properly on them, just like on the image above. Another small, yet big, task was to add shadows below everything which should cast a shadow (so characters, items, bullets flying low, etc). It added quite a bit of immersion to the game and should have been added much earlier, but this is how life goes - it's my first finished game and I have not thought of such details previously.. In the update I have also worked on some things which were working previously, but were ugly. Good Luck Charm was one of those things - I think it definitely looks better now and is so much more satisfying to find and use. Check out those 'lasers' above. Last, but not least major addition to the game are monster elites. This have finally made the late game more difficult and challenging - previously the difficulty was more or less downhill in last 2 levels of the game - not anymore! So the elites are normal monsters which have got random diablo-like buffs, for example exploding bullets (as above), stealing coins and bombs (above as well), bouncing bullets and much more. Those buff can also stack allowing some new unique situations in the game. Hope you gals and guys like the new stuff (there are some more fresh screenshots in the SCREENSHOTS section if you are interested). 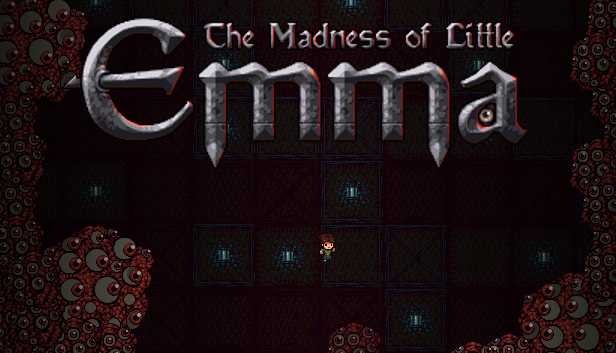 If you want to try out the game, check out the DOWNLOAD section on IndieDB and get Emma's newest demo! This game is fantastic! Definitely has a Binding of Issac feel to it, but by no means a clone, TONS of new and inventive gameplay to wreck the nerves of even the most seasoned roguelike player. Tons of items and enemies gives this superb replayability. 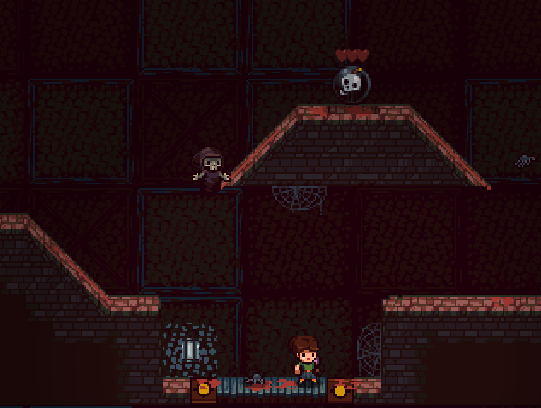 BTW, this is a pretty dark game! Will little Emma find out what happened to her little brother, or just lose her goddamn MIND?! Thanks:) That is true, BoI is one of the games I was inspired by. Months of silence are over, Don't Chat With Strangers to be released in 2 days on Store.steampowered.com I'm pretty excited!